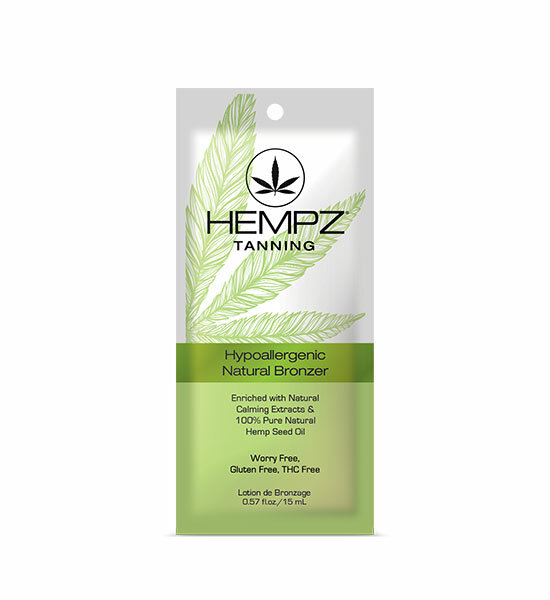 Hempz Hypoallergenic Dark Tanning Natural Bronzer has arrived…your answer for sensitive skin that longs for dark tanning results. This intense hydrating blend with 100% Pure Natural Hemp Seed Oil provides essential moisture that helps promote longer lasting color. Natural calming extracts including Oatmeal help comfort and soothe dry skin while Mango Seed Butter helps hydrate and smooth for a more radiant looking glow.